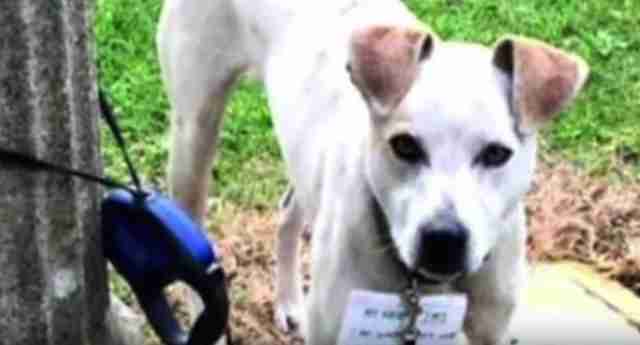 When Joey was abandoned, tied to a pole with a sign around his neck, no one who passed was brave enough to approach him. He was terrified, barking and growling at people because he didn't know where he was or if anyone would try to hurt him. The sign around his neck read, "My name is Joey. I am looking for a home. Please take care of me!" It seemed that no one would step up to help him, until the most unlikely person did. A woman named Lisa who was living in her broken down van in San Pedro, California, saw Joey and his plight, and knew that somehow, she had to help him. Lisa tried to enlist help to get Joey somewhere safe, but the local shelter told her that she would need to bring him there herself. Seeing as Lisa's van didn't work and she refused to leave Joey suffering, there was only one other choice: to walk Joey the three miles to the shelter. Lisa was injured and walking long distances was a struggle, but that didn't stop her. She was in a ton of pain when she finally arrived, but she had made it, and Joey was safe. Joey was eventually rescued by Forte Animal Rescue. Four months later, he was adopted into his forever family and seemed to be a completely different dog. 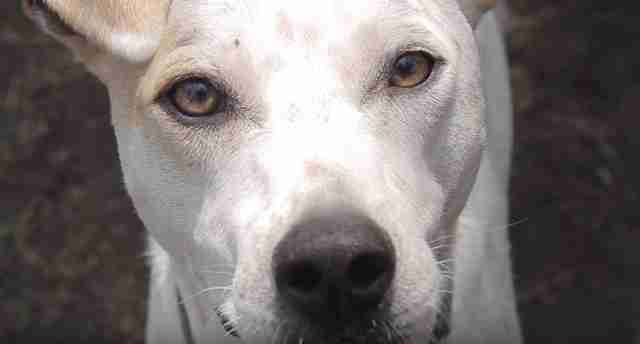 When Joey was rescued he was nervous and didn't trust anyone. 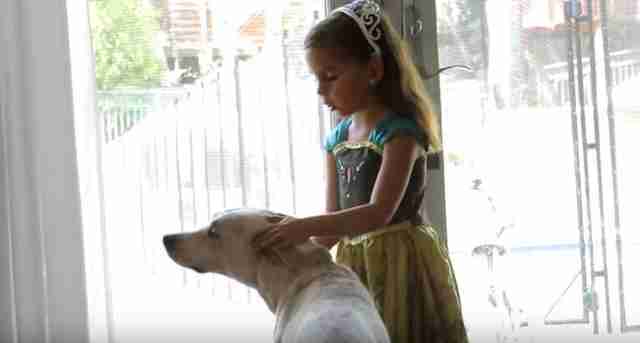 Now he is the happiest dog, and even has a little human best friend to play with whenever he wants. Joey received his happy ending, and it was all thanks to Lisa - and so the community decided that Lisa deserved her happy ending, too. The community of San Pedro heard about all that Lisa had done for Joey, and decided that they wanted to repay her. 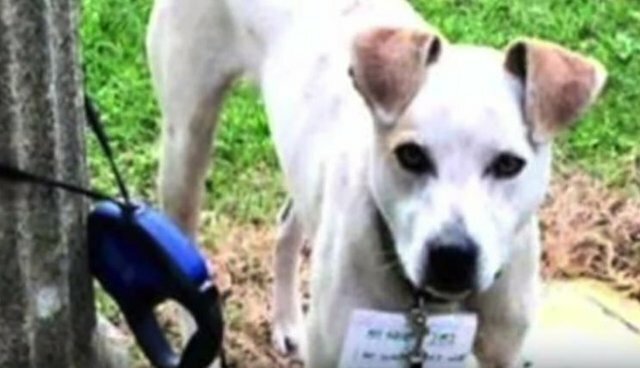 A fundraiser was started for her to help get her back on her feet, and it raised $3,590. 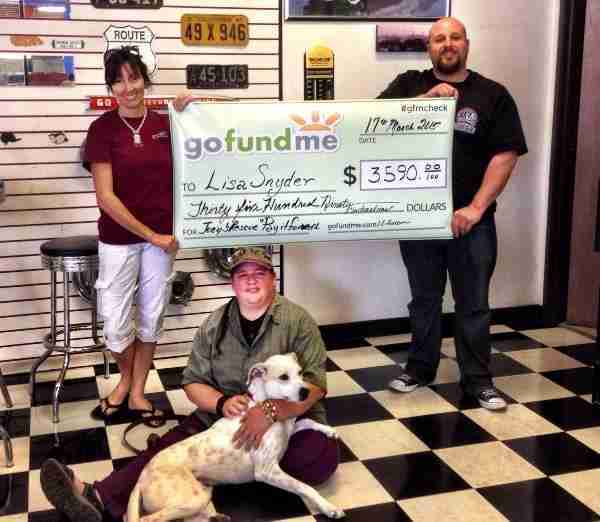 Lisa was able to use the money to get her van fixed and start moving her life in the right direction again. If Lisa hadn't stopped to help Joey, she never would have gotten the attention of the community and received the help that she needed. Lisa may have saved Joey, but in a way, he saved her as well. It just goes to show that a little act of kindness can go a long way.